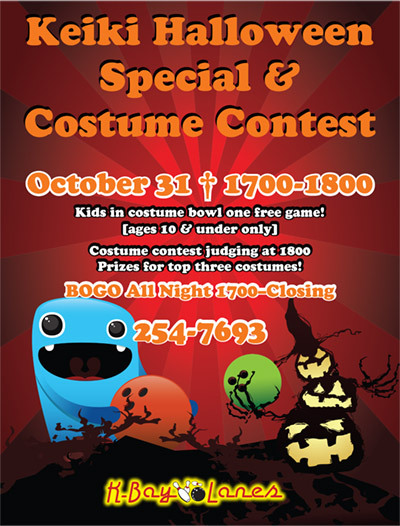 From 1700-1800 kids in costume bowl one free game (ages 10 & under)! Costume contest judging at 1800. Prizes for top three costumes. BOGO all night from 1700-closing!